In this Aug. 01, 2013, file photo, actor Terry Crews speaks onstage during the Brooklyn NINE-NINE panel discussion at the FOX portion of the 2013 Summer Television Critics Association tour. Crews has reported he suffered an alleged sexual assault by prominent talent agent, Adam Venit of William Morris Endeavor. 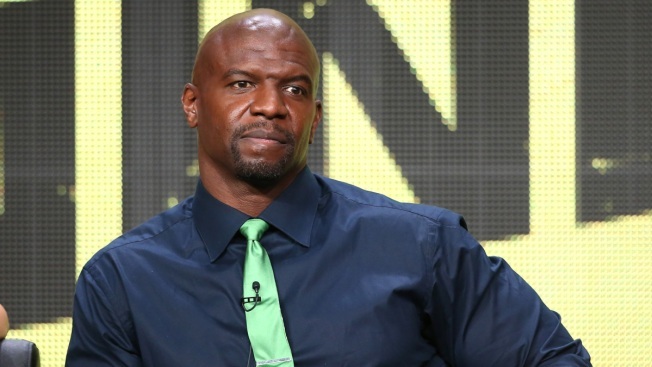 “Brooklyn Nine-Nine” actor Terry Crews filed a report with the LAPD on Wednesday, alleging that he was sexually assaulted by a Hollywood executive at a party in 2016, sources told NBC News. The sources said Crews accused William Morris Endeavor agent Adam Venit, who represents actors such as Adam Sandler, Kevin James and Gal Gadot. Variety reported on Friday that Venit was placed on administrative leave while the talent agency investigates. NBC News attempted to get a response to the allegations against Venit. A man who answered the phone at a number registered to him did not wish to talk, and WME did not immediately respond to requests for comment. Crews first revealed his allegation on Twitter last month, saying he was inspired to share his story after a number of women came forward with accusations of sexual misconduct perpetrated by Hollywood producer Harvey Weinstein.